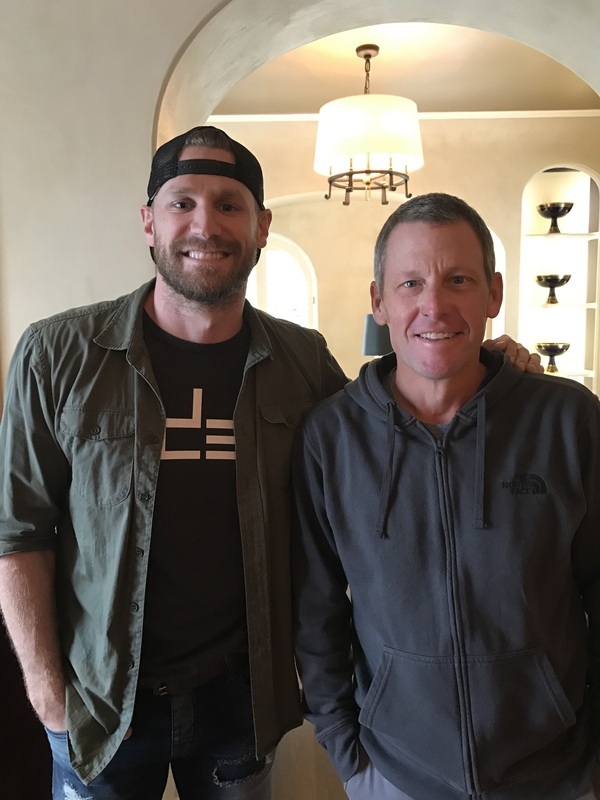 NASHVILLE, Tenn. – Chase Rice’s journey into music has been anything but ordinary, with ESPN’s Marty Smith calling Rice’s metamorphosis from NFL hopeful to NASCAR pit crew member to Platinum-selling country music recording artist a “real-life ‘Forrest Gump’ script.” While his ascent has been steady, a groundswell building upon raucous, sold-out live shows, a deep connection to fans and unvarnished authenticity both in music and in life, Rice is quick to acknowledge the experiences – both good and bad – that keep him motivated and inspire his personal creed: Head down. Eyes up. Keep going. Rice expands upon his music, his story and what the Head Down Eyes Up (HDEU) brand represents in a candid interview on “The Forward” podcast with Lance Armstrong, a series that focuses on giving the audience a rare and revealing listen to Armstrong’s conversations with an eclectic range of compelling personalities from GRAMMY Award-winning artists like Jason Isbell and Ben Harper to New York Times best-selling author Malcolm Gladwell and legendary tennis champion Chris Evert, to name a few. Rice’s episode of “The Forward” is now available at http://bit.ly/ForwardEp23. Rice, who initially broke onto the Nashville music scene as a songwriter on Florida Georgia Line’s massive Diamond hit “Cruise,” put out several albums of his own and toured as an independent artist before signing a unique deal with Columbia Nashville and scoring his first No. 1 album with 2014’s Ignite the Night. That album, recently certified Gold, produced a pair of Top 5 hits with the Platinum-certified “Ready Set Roll” and Gold-certified “Gonna Wanna Tonight” as Rice continued his relentless touring schedule, opening for superstar act Kenny Chesney and Dierks Bentley and expanding his own headlining shows from smaller clubs to selling out 3,000-seat capacity venues. Ever the entrepreneur, Rice also took his “Head Down Eyes Up” motto and developed it into a merchandise brand focusing on athletic apparel, which he sells at his live shows and via a successful online store here. He recently released “Everybody We Know Does,” the first single from his forthcoming studio album expected in early 2017, and is currently on his fifth headlining tour, the Everybody We Know Does Tour. Friday, Nov. 29 – The Orange Peel – Asheville, N.C.
Tuesday, Dec. 6 – Showbox Market – Seattle, Wash.
Wednesday, Dec. 7 – Grizzly Rose – Denver, Colo.
Thursday, Dec. 8 – Gillioz Theatre – Springfield, Mo. Thursday, Dec. 16 – Family Arena – St. Charles, Mo.